Marie Kondo is in the business of sparking joy. 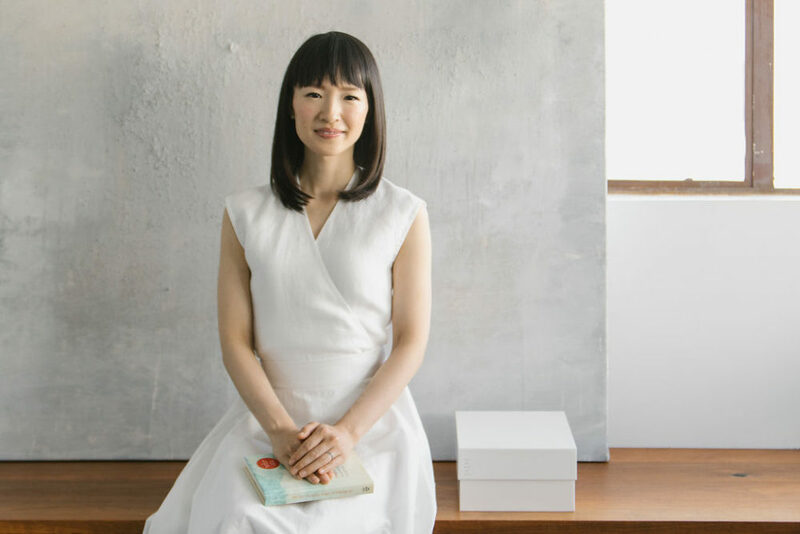 The Japanese decluttering guru’s hit Netflix series, Tidying Up With Marie Kondo, arrived on the streaming giant on January 1st to much fanfare. In the episodes, Kondo works closely with individuals from all walks of life to clear both their homes and their minds of clutter. There’s a widow, who grapples with decluttering her late-husband’s clothes; empty nesters, who reconnect with forgotten memories through long-buried photographs; and an expectant couple, who find it painful to dispose of items passed down from their own immigrant parents. 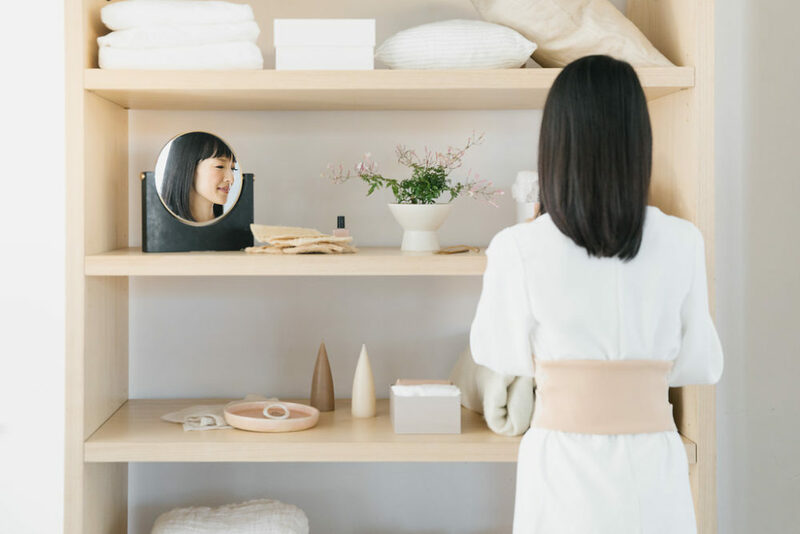 In this process of decluttering, which begins with Kondo endearingly greeting each house, clients come away with a better sense of what sparks joy—whether material or transcendental. Adapted from her New York Times bestseller The Life-Changing Magic of Tidying Up, the series offers an intimate glimpse into the lives of the clients as Kondo guides from the sidelines. But we wanted to know more about the decluttering force of nature herself, so we asked her all about her life—from her New Year rituals to yoga with her daughters to the items in her home that spark joy. HelloGiggles: You’ve worked with clients from all walks of life on their tidying journeys. How do you deal with cultural barriers? Marie Kondo: When I first started professionally tidying, I assumed there would be more differences in how people tidied based on where they’re from. But in reality, the differences have been much less than I expected. The issues people encounter through tidying are the same–no matter where you live. This isn’t exactly a cultural difference, but in the United States, many homes have multiple bathrooms, while in Japan, a single bathroom is customary. This has been a learning experience for me as I help families tidy, because it can be more challenging to keep all of the items in the same category in one spot when you have several rooms to choose from! HG: The KonMari Method asks clients to undergo the process by themselves, without your intervention or assistance. What’s the significance of this step compared to the grand makeovers often seen on TV? MK: The KonMari Method isn’t meant to make your home tidy for a short amount of time. Rather, it is an experience you go through using both your heart and mind. Tidying for yourself is essential to hone your sensitivity to joy and decision-making skills. By doing so, you will understand what is important in your life. These are realizations and decisions you must come to on your own. HG: How did you celebrate the Japanese New Year, or Oshōgatsu, earlier this month? MK: One of my favorite traditions is “kakizome”—writing my goals or resolutions for the coming year on special calligraphy paper using sumi ink and a brush. I also begin the year with a traditional, symbolic meal called “osechi ryori.” Each dish—arranged beautifully in square layered boxes known as “jubako”—has a meaning that represents a wish for the coming year. I share all about these traditions on my blog post on All Things KonMari’d! HG: What are some tidying rituals you take part in each new year? MK: New Year is a time for fresh, new beginnings, so I like to wipe the door and entrance of my home to allow a new wind to flow into the home. HG: What are three items in your home that spark joy? MK: The crystal in my bedroom, my earthen pot, “donabe,” in which I cook special rice, [and] my antique writing desk. HG: Besides tidying, what other activities spark joy in your life? MK: After tidying up from the day, I do yoga with my children in the evening to wind down. I also invest in nice, organic cotton pajamas, indulge frequently in linens, and have an air purification ritual I perform every evening. Tidying Up With Marie Kondo is available to stream on Netflix.